In practice, the assurance that the design and construction of a piping system will meet prescribed pressure-integrity requirements is achieved through the use of published codes and standards. Numerous codes and standards have been formulated and published by major interest groups of the piping and pressure vessel industry. The most widely used codes and standards for piping system design are published by the American Society of Mechanical Engineers. The American National Standards Institute (ANSI) accredits many of these codes and standards. Codes and standards both provide criteria through which pressure integrity can be ensured and simplified design rules to ensure adherence to the criteria. Many designers and engineers think the terms code and standard are synonymous, or at least somewhat interchangeable, but this understanding is incorrect. Piping codes provide specific design criteria such as permissible materials of construction, allowable working stresses, and load sets that must be considered in design. In addition, rules are provided to determine the minimum wall thickness and structural behavior due to the effects of internal pressure, deadweight, seismic loads, live loads, thermal expansion, and other imposed internal or external loads. Piping codes provide design rules for nonstandard components and for the reinforcement of openings in the pipe wall. They do not provide design rules for standard in-line components such as valves, flanges, and standard fittings; rather, they define the design requirements for these classes of components by reference to industry standards. 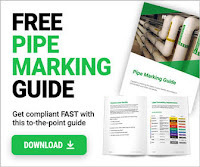 The use of specific codes for the design and construction of piping systems is frequently mandated by statute or regulations imposed by regulatory and enforcement agencies. Typically codes are structured around technology or industry user lines. For example, ASME B31.1, Power Piping, covers piping systems in power plants, district heating plants, district distribution piping systems, and general industrial piping systems while ASME B31.3, Process Piping, is structured around the chemical, petroleum, and petrochemical industries. Any one of the above-named industrial facilities might have a pipeline with similar service requirements such as a high-pressure steam main, a boiler feedwater line, or a cooling water line. However, the requirements of the specific code, as influenced by the needs and experience of the user industry, will dictate the pipeline’s design and construction requirements. Many piping design and construction codes are listed in the section ‘‘Reference Codes and Standards.’’ The systems and subsystems covered by these codes are defined in their scope sections. The scope sections of all potentially applicable codes should be reviewed early in the design phase of a piping project to determine which code, or codes, should be applied to the piping design and construction. In some cases, multiple codes may be required for the design and construction of the same piping system, depending upon its location. For example, a steam main serving a petrochemical plant from a major utility’s district heating system would be designed and constructed toASMEB31.1, up to the petrochemical plant property line. The balance of the piping on the petrochemical plant’s property would be designed to ASME B31.3. In the case of a natural gas main serving a utility powerhouse, the outdoor piping is designed and constructed to ASME B31.8 up to and including the meter set, and the in-plant piping is designed and constructed to ASME B31.1. Sometimes, different piping systems within the same building or facility will be designed and constructed to different codes. For example, most of the piping systems in a utility power plant are designed and constructed to ASME B31.l. However, the building heating and air conditioning piping systems are designed and constructed to ASME B31.9, Building Services Piping. Standards provide specific design criteria and rules for individual components or classes of components such as valves, flanges, and fittings. There are two general types of standards: dimensional and pressure integrity. Dimensional standards provide configuration control parameters for components. The main purpose of dimensional standards is to ensure that similar components manufactured by different suppliers will be physically interchangeable. Conformity to a particular dimensional standard during the manufacture of a product does not imply that all such similarly configured products will provide equal performance. For example, two different styles of NPS 10 (DN 250) Class 150 flanged end gate valves could be manufactured, in part, to ASME B16.10, Face-to-Face and End-to-End Dimensions of Valves. The valves would be physically interchangeable between mating flanges in a particular piping system. However, because of completely different seat and disk design, one valve might be capable of meeting far more stringent seat leakage criteria than the other. Pressure-integrity standards provide uniform minimum-performance criteria. Components designed and manufactured to the same standards will function in an equivalent manner. For example, all NPS 10 (DN 250) Class 150 ASTM A105 flanges, which are constructed in accordance with ASME B16.5, Pipe Flanges and Flanged Fittings, have a pressure-temperature rating of 230 psig (1590 kPa gage) at 300 F (149 C). Statute or regulation does not normally mandate standards; rather they are usually invoked by a construction code or purchaser’s specification.